Task: to create an exciting and grand website. 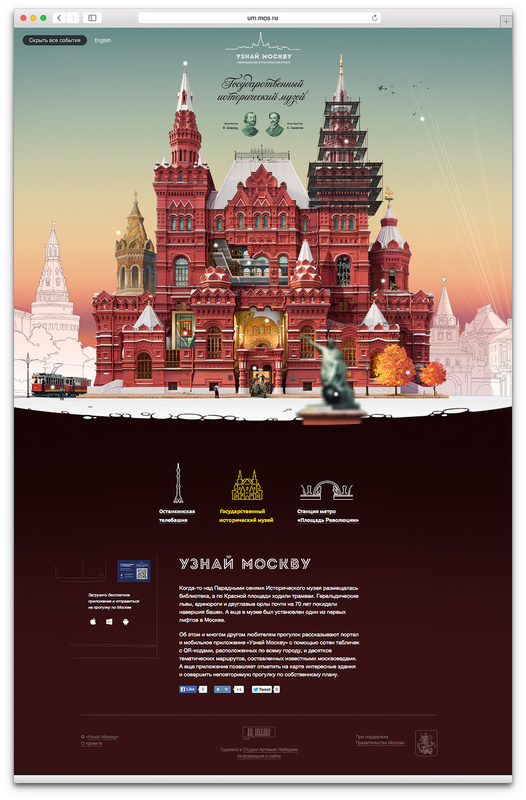 The Discover Moscow portal and mobile app provide Moscow locals and tourists with lots of interesting facts about the capital’s buildings using a large information catalog and dozens of themed routes compiled by renowned experts. 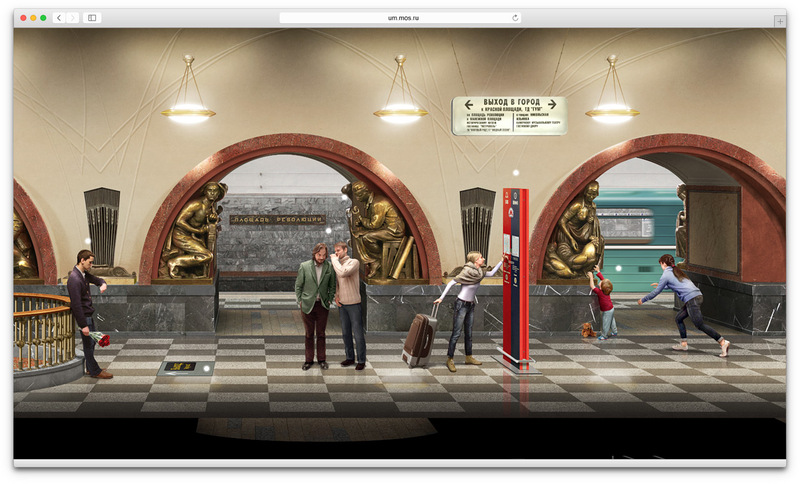 A promo website that introduces users to the results of a large study of history of three famous architectural projects in Moscow was created at the studio. The events are shown on the buildings as if they all happened at the same time. Detailed rendering of historic facts turns illustrations into epic canvases that invite viewers to carefully study the material. The website has a collection of popular and lesser-known facts about the landmarks. Each illustrated event is accompanied by a brief explanation. 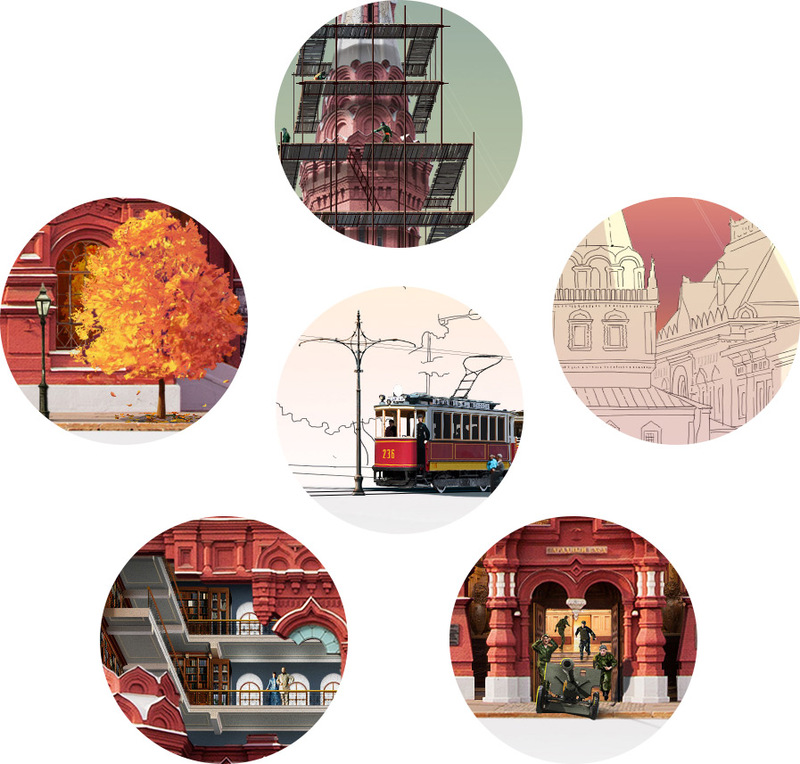 Animation effects complete the picture and make exploring Moscow even more exciting. Each page features a specially designed title rendered in both Russian and English.